The Body of Senior Advocates of Nigeria (BOSSAN) has condemn the move made by the federal government to prosesecute the chief justice of Nigeria. In a communique signed by Professor Ben Nwabueze, and Seyi Sowemimo, both SAN, on behalf of the BODY, after its meeting held at the Nigerian Law School, Lagos on 19th of January 2019 the body wants federal government and its agencies to respect the Constitution, the rule of law, separation of powers, due process and the proper administration of justice. It also urged the parties to consider the impact of their respective actions on the administration of justice in Nigeria and how it will affect the public confidence. The body also describe the matter before the code of conduct tribunal and other courts as sub judice and it is therefore not appropriate to comment on the merits or otherwise of any of the cases. 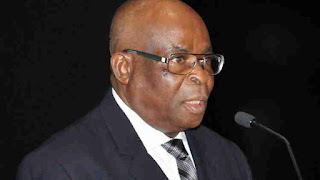 The chief Justice of Nigeria, Justice Walter Onnoghen was to be arraigned before the code of conduct tribunal over allegation of non disclosure of his assets as at when due.